Hi, everyone! It's Hope here again. 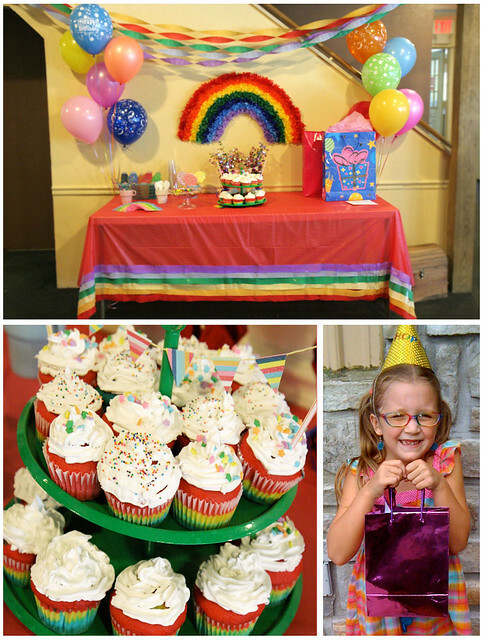 Today I want to talk about my rainbow birthday party from last year. It was lots of fun and VERY colorful! 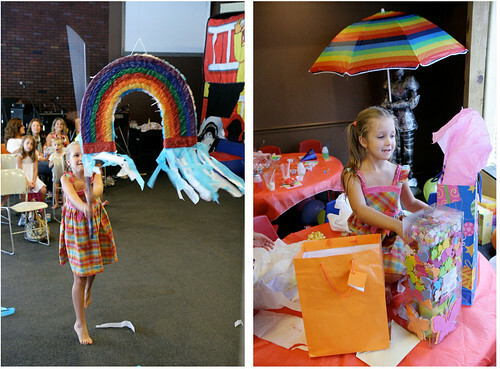 We had a giant bouncy pit, sack races, a rainbow pinata, and awesome rainbow cupcakes. It was one of my favorite birthdays... plus, I got an AWESOME dollhouse for Blythes. My mommy and our friend Eric made it for me. 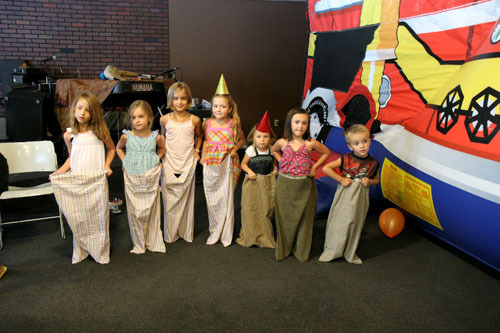 My favorite parts of the party were the sack races (I won! ), breaking the pinata, and opening presents of course! See that umbrella in the corner? We bought it to use at the ocean but it was too windy and it blew away twice! It was perfect for the party, though. The cupcakes were rainbow and amazingly delicious! 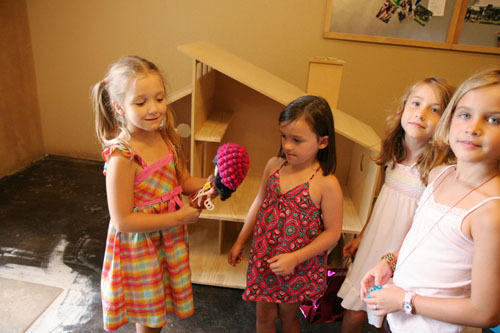 Here I am opening my dollhouse. 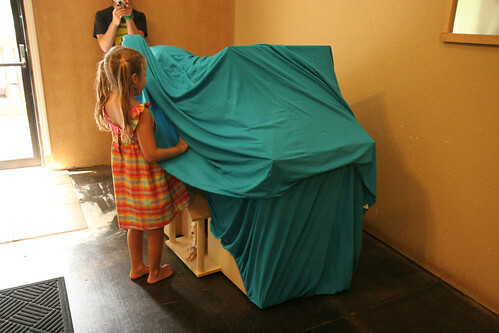 I had NO IDEA what was under that sheet! After I opened it all the little kids kept climbing inside. It's a dollhouse not a little kid house! That's my dollhouse. We are still working on decorating the inside (a year later). It is a BIG job! 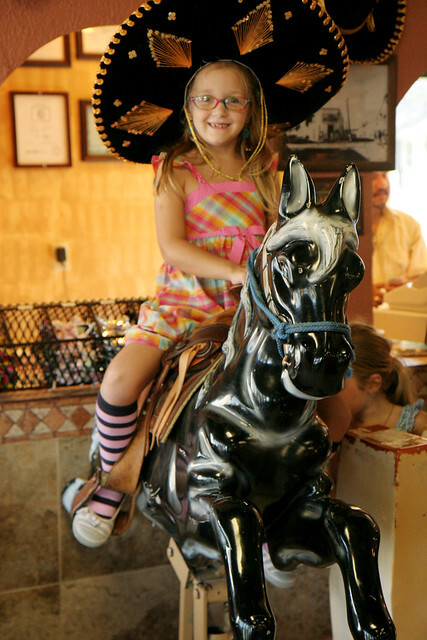 After the party we went and ate yummy Mexican food and when it's your birthday they put a sombrero on your head, sing happy birthday to you in Spanish, AND let you ride the horse! It was so much fun!!! cutest birthday party ever! Hope you are a great blogger, I look forward to your posts, they are always so fun! I loved being 9! I hope you love it too :) I've always wanted my Birthday to be in the summer so that I could have a swimming party too. Have fun! What an awesome party Hope, you are the bees knees! I can't wait to hear what you have to say about this years party...9 is a big deal! I love pool parties, I bet yours will be the best ever! :) I always wished my birthday was in the summer so I could have pool parties...Happy Birthday, Hope! That's looks like such a fun party, Hope! I bet your swimming party will be even better. Happy Birthday to you! Oh, Hope! You are the sweetest girl! Your rainbow party looked amazing - I want one of those cupcakes!! I hope your swim party is just as wonderful! can't wait to hear about it.. my birthday is this month too! 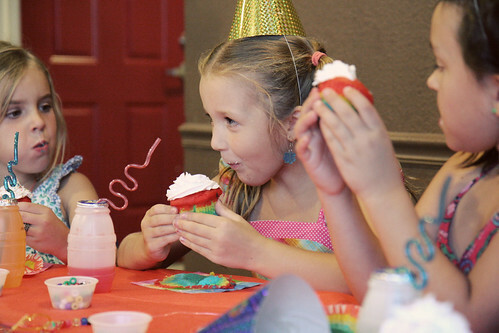 rainbow cupcakes and a bouncy house sounds awesome, I bet this year will be awesome too! who doesn't love swimming?! Uuuuh my birthday is coming up to...and I LOVE the Rainbow theme. Oh my gosh! She is too cute! What a fun idea for a party! p.s. 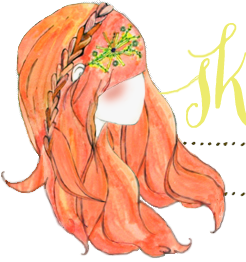 I can't ever comment on your blog when I'm in bloglovin'. I could before but not with the new site. Thanks for sharing your birthday fun! I love your dollhouse, it would be cool to see more pictures of it. I got one for Christmas when I was 11, and still haven't finished decorating it either! It's at my mom's house, and it needs an update now, I don't think I'd like the wallpapers anymore. Have a wonderful swimming party and a happy birthday! Hope, you looked like you had a lot of fun! I bet you have a pretty awesome year. 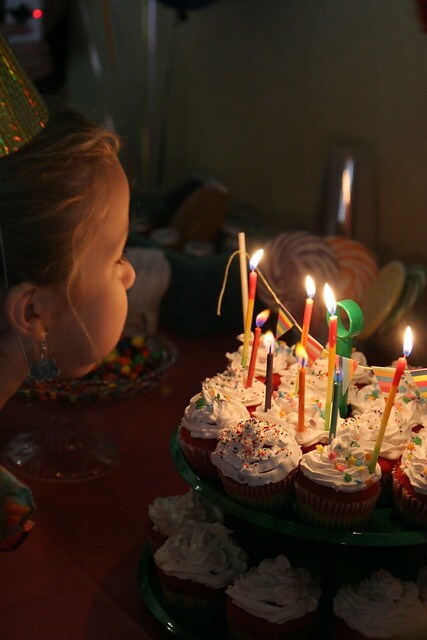 I might steal some of those rainbow ideas for when my little girl's birthday comes up! thanks! that looks like a perfect rainbow party of fun! coooolll dolls house! !good idea,a rainbow birthday party!! you're a great blogger Hope. Happy birthday, Hope! Your party was adorable and looks like y'all had a lot of fun. How sweet! adore these ! I am doing a homemade Starwars theme for my 8 year olds at a Vintage Cafe with a Star War's theme any ideas ? Those cupcakes look amazing, Hope! I always wanted a pool party for my birthday but I was born in the winter. You are so lucky! hope, it looks like you had a super fun birthday! being 9 is one of the coolest ages ever. i hope you enjoy it! I just love you, Hope! I can't wait to hear about your 9th birthday party! I'm sure it will be a blast!!! It's a doll house not a little kid house!